In Toronto, the answers are so plentiful that it’s easy to become overwhelmed by the choices. One of the growing tourism sectors is food tours. You get the benefit of having a wide variety of smartly curated tastes, courtesy of an expert guide who can offer some storytelling and making new friends along the way. You don’t have to be visitor even locals are also taking advantage of these tours. They’re ideal for locals wanting to explore new areas, or looking to shake up their dining experience. 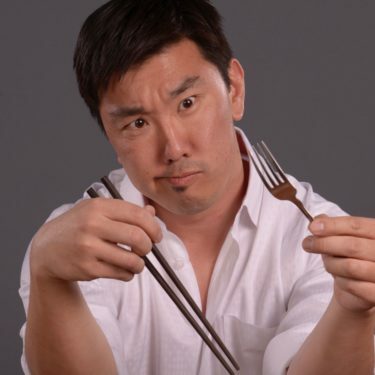 Leading the charge is Canadian-born, Toronto-raised with South Korean heritage, Jusep Sim Founder and Chief Epicurean Officer (CEO) of Chopsticks+Forks Food Tours who is showcasing the amazing Kensington Markets global food scene. Chopsticks+Forks Food Tours has become very popular and is ranked the #1 Food Tour company on TripAdvisor. Designed for the adventurer the tour keeps the beginner and novice in mind. Jusep is a world traveler that has eaten his way through 50 countries one bite at a time. He has a story to tell behind the amazing diversity of food His food experiences are designed to help build confidence around ethnic foods that people may not be familiar with, all the while learning about the culture and history of where the food originates. From a Traditional Native (Indigenous) restaurant to Middle East, South America, Caribbean and a Tibet Café on the tour. It’s all adventure through Food! “Never in history could you taste the world with just a bus pass stated,” Jusep. Where Was Tj Jackson When Michael’s Kids Needed Him?